Russian ninepins will be appreciated not only from the passionate players of this game with a long tradition, but also from the others who like amusement, sport and laughter. Every client will certainly appreciate high quality manufacturing, brilliant design, and low price. 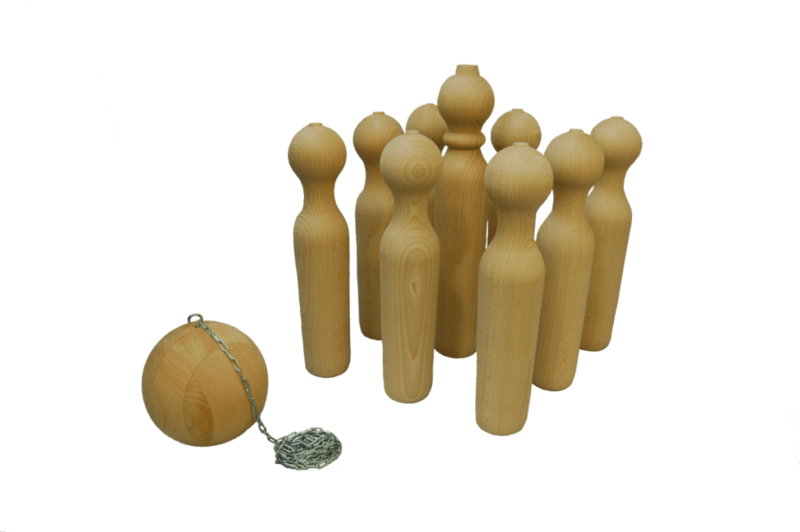 The Russian ninepins are available in beech version at the moment. They are made of improved wood and are determined to be used outdoors. If you want to keep the ninepins nice for a long time, we recommend you not to leave them during the unfavourable weather outdoors. By doing so, they endure for many years. The ninepins do not have surface treatment, because it is damaged during the game. In addition, it does not prolong the ninepins lifetime. The other set of ninepins is called beer ninepins that will undoubtedly bring you a lot of fun during your parties. Beautiful design, high quality manufacturing, and top quality of used materials at the unrivalled price! 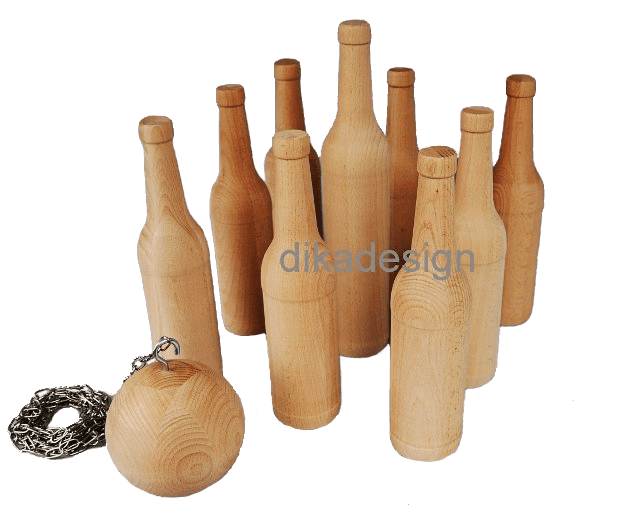 The beer ninepins are available in beech version at the moment. They are made of improved wood and are determined to be used outdoors. If you want to keep the ninepins nice for a long time, we recommend you not to leave them during the unfavourable weather outdoors. By doing so, they endure for many years. The ninepins do not have surface treatment, because it is damaged during the game. In addition, it does not prolong the ninepins lifetime.